Aims: Inventory, identification of problems and conservation actions in complementary areas. 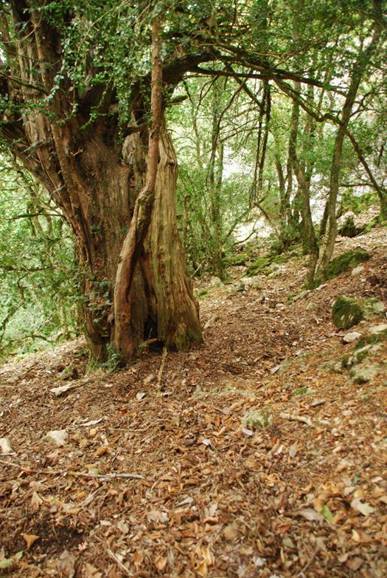 Competition actions have been carried out in the yew forests of Obada del Vilar (Ribera Salada, 12 ha) and Los Teixets (Serra de Cardó, 1.5 ha). There have also been 6 new yew forests in the Muntanyes de Prades ZEC and in the Canal dels Arínjols (Montserrat), in which also two fencing of herbivores have been installed and the path has been conditioned.